After a decade (or more? ), Arizona lawmakers have finally banned photo-enforcement; but only on roads which are part of the State Highway System. Lest you be confused, the state highway system includes not only the interstates and other “controlled-access”/ freeways, but many miles of country highway, and also includes some what would appear to be normal city streets. The state of arizona did used to have photo enforcement years ago on some freeways; but were removed by executive, not legislative, action. Anyway, there are two. I mean two camera locations, in the entire state, that are affected by the ban. (I am unclear as to whether these were only speed, or red-light, or both, or just what). You can get the law here, it is very brief. The amendment is funny, it struck this sentence from the legislative intent part of the original bill: “(to) Protect the citizens of this state from the abuses that accompany the outsourcing of law enforcement to private, for-profit entities.”; anyway, the enacted law simple adds that noone can “use a photo enforcement system on a stage highway”. 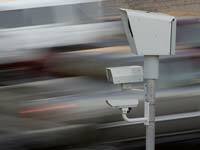 Note that photo-enforcement includes both speed and red-light violations. The two locations were one in the Town of Star Valley (near Payson, there’s some more about that one in the comments on the senate hearing); the other, which the story dwelled on, is at Primrose and Grand Ave. Grand Avenue is part of the state highway system. Unmentioned in the story below, is both of these would have had to have been independently vetted by an engineering study supporting an expected safety improvement; otherwise ADOT could not have issued the permits. Here are the details on ADOTs website, along with links to the engineering studies which supports the permit for placement. Here is a azcentral news story about the law, which was signed by Ducey and will become effective sometime around mid-year 2016. Was this a bona-fide emergency? well I don’t think so… but i suppose that’s a value judgement. In any event we do have rules about emergency driving being exempted from speed rules that involve special lights, sirens, and professionally trained drivers. None of which, i suspect, Rabbi Weiner had. Everyone has an excuse. One is in El Mirage (at Primrose and Grand — Grand being the state highway) and is in Lesko’s district, and the other is in Star Valley, a very small community towards Payson. Lesko also stated that she believes her bill importantly does not usurp any local control — something she would be against — as it only applies to the state highway system. An El Mirage constituent gave a long explanation of her complaints about the photo-enforcement (it wasn’t clear if it was speed or red-light or both), saying she was merely “scooting up” to get away from someone who was “on her bumper” and feels the enforcement is unfair and is entrapment. She also says she feels there aren’t enough speed limit signs. I see one here, right near Primrose and Grand, 45mph. The town Manager of Star Valley testimony included reading conclusions from the independednt Engineering Study which justifies that use of photo-enforcement (required to get the permit) that the enforcement did indeed improve safety for all road users there. He also mentions any revenues derived by ordinance must be spent on public-safety. He claims town residents overwhelmingly support the installation due to it’s safety benefits from high-speed “through” traffic. Noone mentioned, or asked, or whatever, that there must have been an engineering study done for the El Mirage installation that showed a safety benefit (i.e. contrary to the constituent’s complaints). One of the committeepeople, in explaining her ‘yes’ vote states that she strongly believes adding more patrol officers will improve safety — she, however, did not pony-up and dough. Talk is cheap. The City of El Mirage has also experienced more collisions since the cameras were turned off. From March 16, 2016 to June 15, 2016, there were six collisions (three injury and three non-injury), versus two non-injury collisions for the same time period last year. Chief McDonald’s letter is pretty good otherwise, I don’t see it online at the moment; but the data and material is all here.